This post was written by Hatchet reporter Chloe Sorvino. Hundreds of members of the GW community came together Monday night to celebrate the life of Benjamin Gupta, a 28-year-old graduate student and public servant many described as a brilliant and inspirational leader. 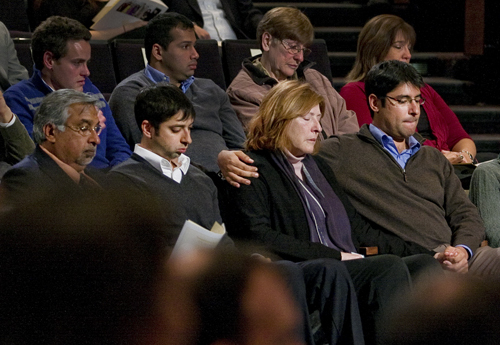 Nearly every seat was filled in the Dorothy Betts Marvin Theatre to honor Gupta, who died in his sleep Dec. 19. 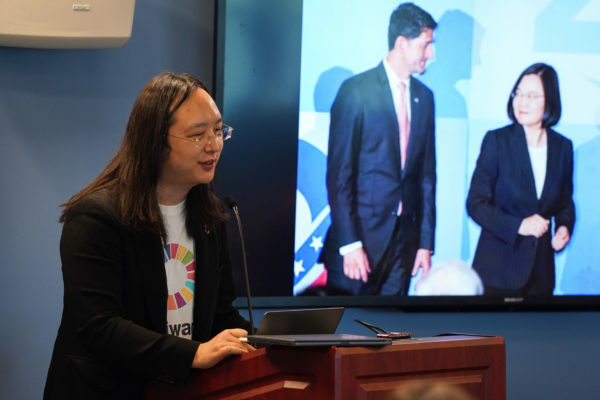 More than a dozen professors, colleagues and classmates shared memories of the graduate student, calling him a citizen of the world and admiring his upbeat attitude and contagious energy. Clinton said she was proud to watch him grow over the years, becoming someone whose compassion, sense of humor and positive outlook on the world she valued. “He really showed us what a life well-lived would look like,” Clinton said, adding that Gupta’s creativity and enthusiasm stood out in the State Department. 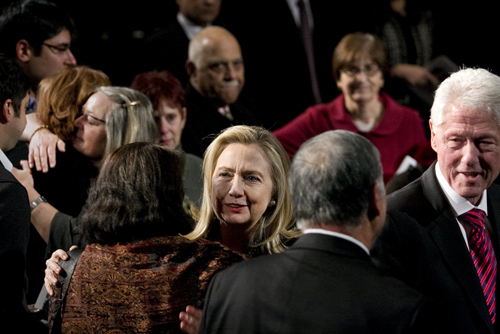 “It was just fun working with Ben Gupta, and you know, fun is not always a word associated with the State Department,” Clinton said with a laugh. Former President Bill Clinton, who is close friends with the graduate student’s father Vinod Gupta, addressed the audience with emotional charge. “This is hard, when the natural order of things is interrupted and you lose someone so full of life,” Bill Clinton said soberly, recalling memories of Gupta. “Ben you are one bright man. I love you. You are your father’s son,” the former president said. Gupta attended the Phillips Exeter Academy and Boston University, where he received a bachelor of arts in economics and psychology. In 2007, the Omaha, Neb. 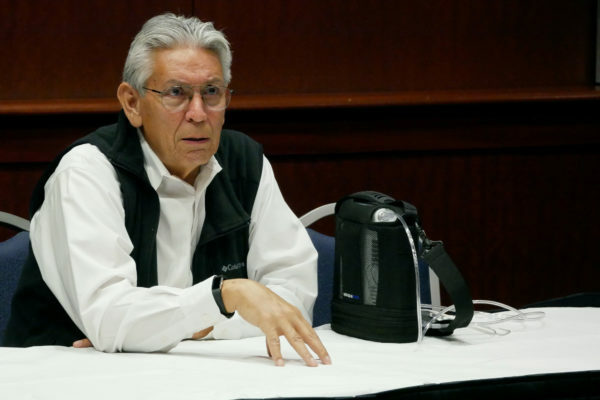 native served as a staff assistant for then-Rep. Rahm Emanuel, D-Ill.
“I was so proud of this kid who was able to experience so much at such a young age,” he said. Gupta was pursuing a business and law degree from the University, intending to enter the business world after graduating. Susan Karamanian, a professor Vinod Gupta described as an older sister figure to his son, traveled with the graduate student to India in 2010, when she said he helped GW forge relationships with an Indian university. “Ben was here for a short time but he affected so many in a positive way,” Karamanian said. The associate dean also announced that this summer the law school at New College Oxford in England will host the “Ben Gupta Lecture,” featuring the student’s work on human rights and religious freedom, including his opposition to the controversy surrounding the construction of a cultural center at Ground Zero in New York. Gupta had described the protests against the mosque as “a stain on this nation’s history,” Karamanian said. Heather Harms, one of Gupta’s classmates at the GW Law School, studied with him in England and traveled to India with him. She described her peer as “a natural leader with a light touch,” and said he was one of the most warmhearted individuals she had ever known. “He was a joy to spend time with and share experiences with. He was serious about what he wanted to accomplish in life, but he didn’t take himself too seriously,” Harms said. “Very rarely did a student leave such an impression as Ben did on me,” Fontana said. University President Steven Knapp also spoke at the service and said, although he did not know Gupta personally, he was honored to learn about the student’s life. Knapp announced that Gupta will receive his dual degree posthumously in May.